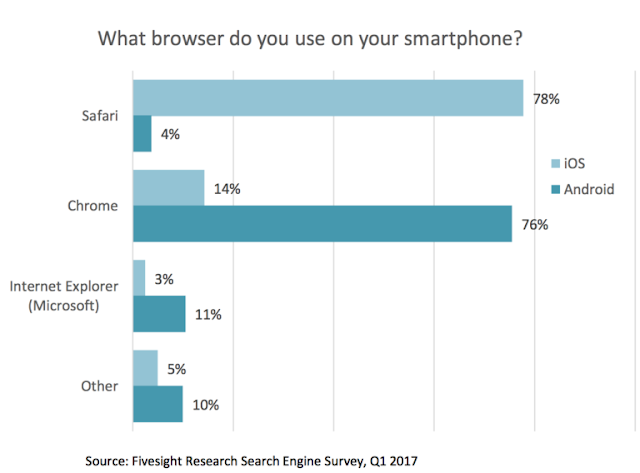 Fivesight Research released a study on “US Consumer Search Preferences Smartphone & Desktop: Q1 2017,” that states that Siri is the most used mobile “search engine” of choice after Google. The study was based on a survey of 800 US adults split roughly evenly between iOS and Android users. Fivesight Research provided a comparative study given below, that reveals that Siri had a larger share of mobile search than Bing or Yahoo. 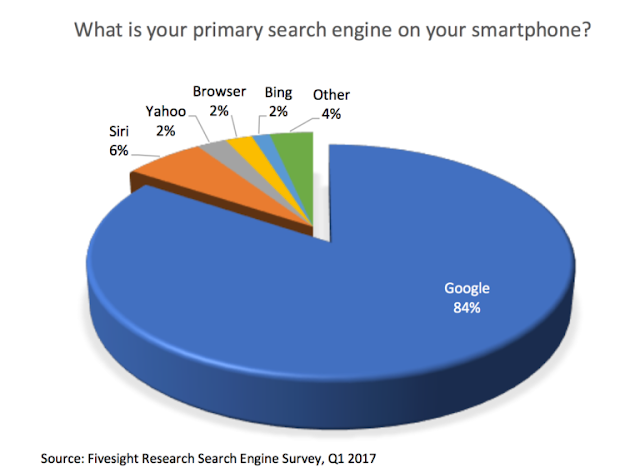 Siri was the primary search engine of 13 percent of iPhone owners. This finding is significant because it suggests the long-term, potentially disruptive impact of voice and virtual assistants on traditional “query in a box” results. It’s important to point out, however, that these responses reflect self-reported data and many not line up one-to-one with behavior. Siri was also the most widely adopted virtual personal assistant among the available choices, used by a higher number of iOS users than “Google Now” was by Android users. Google Assistant wasn’t one of the available choices on the survey. 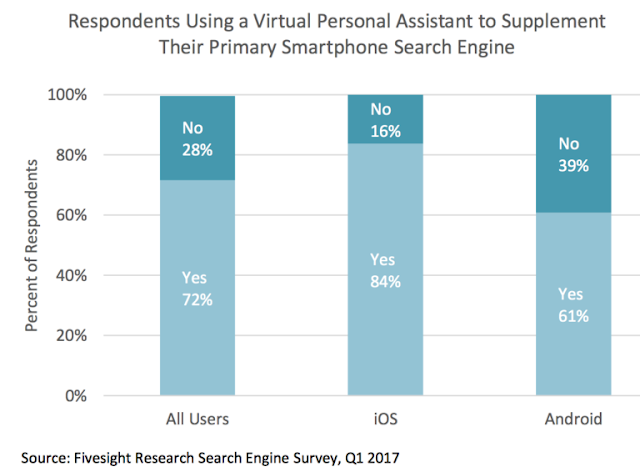 A very large percentage of respondents (72 percent) said they were using virtual assistants to “supplement” more traditional mobile search.